Everytime I post a photo on Instagram of Lottie I tag it #LottieRose. This isn’t arbitrary or a cute add-on to my photos, I tag all of my photos #lottierose so they are added to her website, lottierose.rocks. 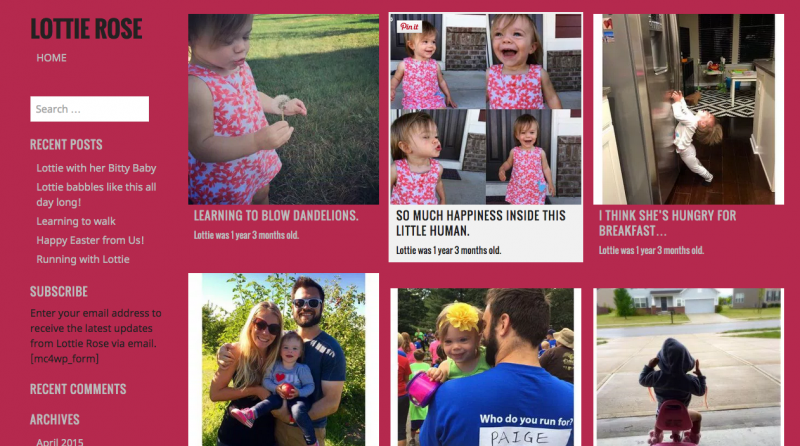 My husband used a friend’s code to create a website that pulls all of the tagged photos from my Instagram account and creates a new post for them on her website. He also added code that uses the date of the photo and notes how old she was when the photo was taken. This part is mostly fun for me so I can scroll through all the photos and remember back to how old she was in each photo. It also allows our friends and family to add the same hashtag #lottierose to their Instagram photos and they will also be added to the website. Our friends and family photos only show up after we go in and approve them, so that we avoid adding photos that aren’t our Lottie. Because not everyone has Facebook, Twitter and Instagram. Lottie’s great-grandparents, grandparents, aunts and uncles don’t all have social accounts or stay active with them. This website allows our family to go on and stay up to date and watch Lottie grow without having to sign up for every new social account. Most of our family who aren’t active on social media simply enter their email into the website, so every time a new photo is posted it is emailed to them. This is even great for those who have social accounts but aren’t active and they don’t want to miss her photos. 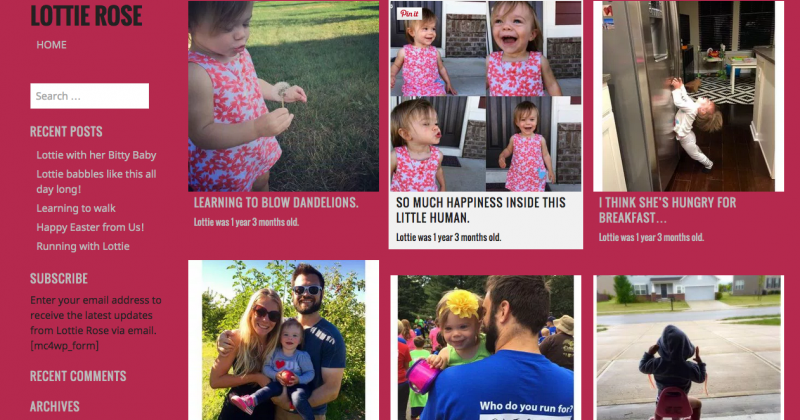 This isn’t meant to become a popular public site, its purpose is only so family can follow along Lottie’s story as she grows. How do you keep your grandparents and family not on social up to date with your babies?